'Prodigy' (Ben Hager, R. 1973). Seedling #D1989A. MDB, 6" (15 cm). Late bloom. Light blue self; pale yellow beard. 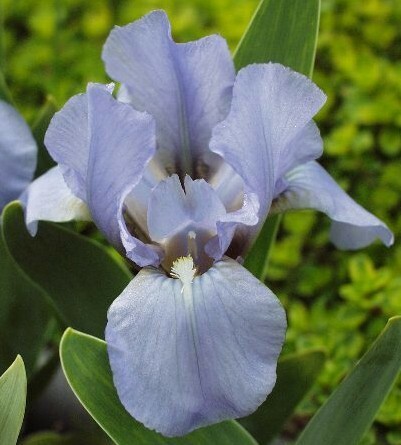 Seedling #A684A: ('Evening Storm' x 'Thisbe') X 'Atomic Blue'. Melrose 1973.